The Vu is the premier wedding venue in central Scotland. Hold your wedding ceremony in West Lothian's most spectacular wedding venue. This unique setting, nestled in the Bathgate hills and in the middle of Ballencrieff Reservoir in the heart of Scotland offers something truly magical for you and up to 140 guests. 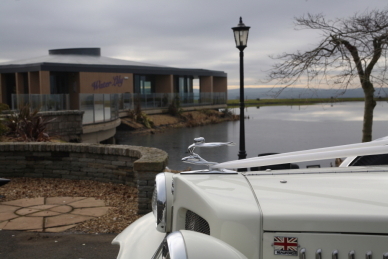 The wedding venue and restaurant has full height windows providing 270 degree views to the West over the reservoir. You really do feel as if you’re on the water.